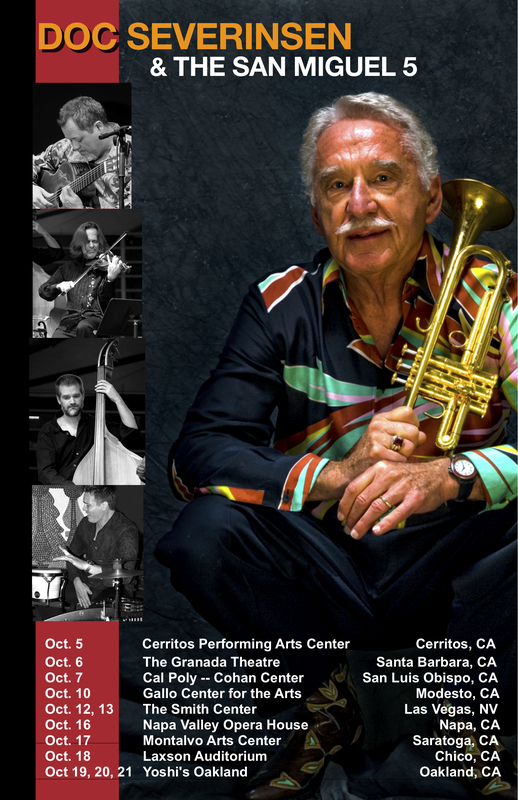 This October, Doc will be hitting the road with the San Miguel 5 for a tour of California with a stop in Las Vegas. Featured will be Doc Severinsen on trumpet, Gil Gutierrez on Guitar, Charlie Bisharat on Violin, Kevin Thomas on Bass and Jimmy Branly playing percussion. You won’t want to miss this fantastic group. Tour cities and dates are noted below. Link to this article. Post a comment or leave a trackback: Trackback URL.